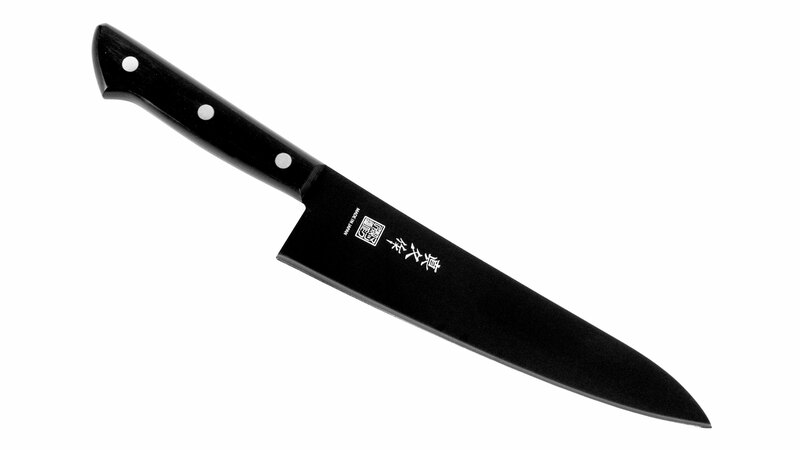 This MAC Knives Chef Series Nonstick Sushi Knife is a nonstick coated version of the MAC Knives Chef Series 8.5-inch Asian Chef's Knife (HB-85). 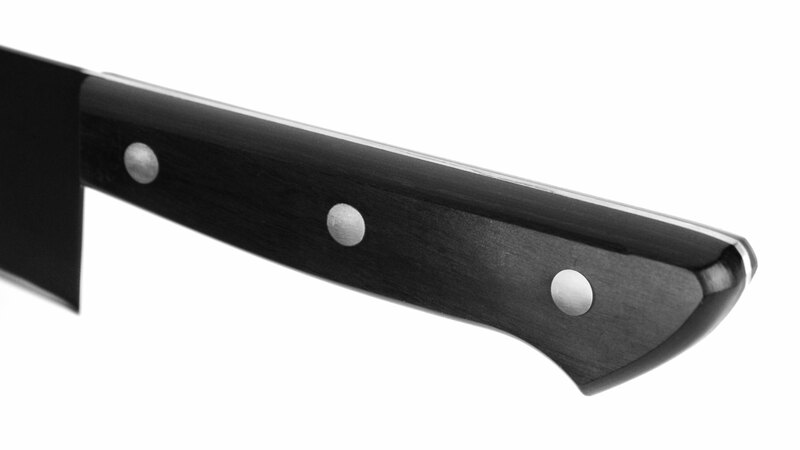 The gradual taper from heel to tip is in the style of the Gyuto (Japanese version of the chef's knife). The nonstick coating helps this knife to easily slice through sushi rolls where the rice would normally gum up the blade. 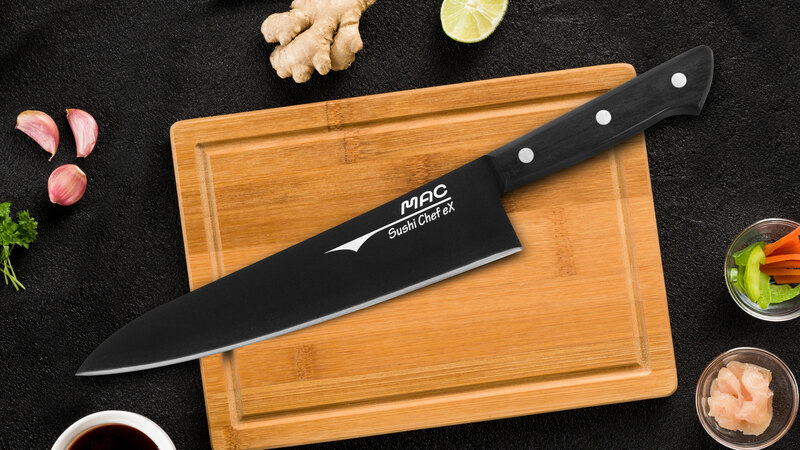 The razor-sharp edge easily cuts through tough nori (seaweed) and the nonstick surface glides through the remainder of the cut without having to wipe the blade after making every slice. 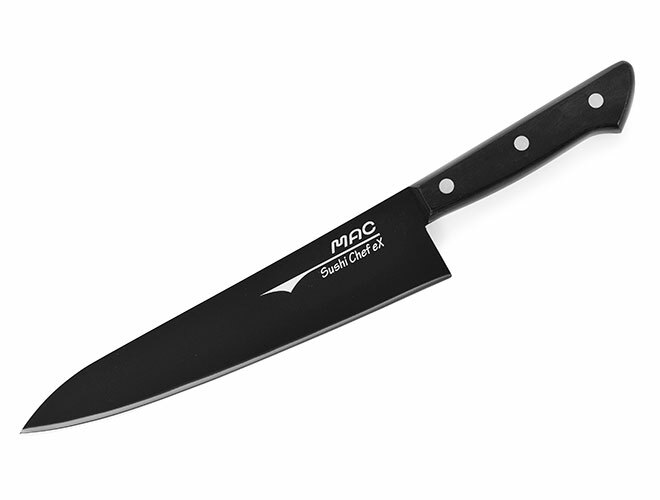 The MAC Knives Chef Series features original molybdenum steel construction. 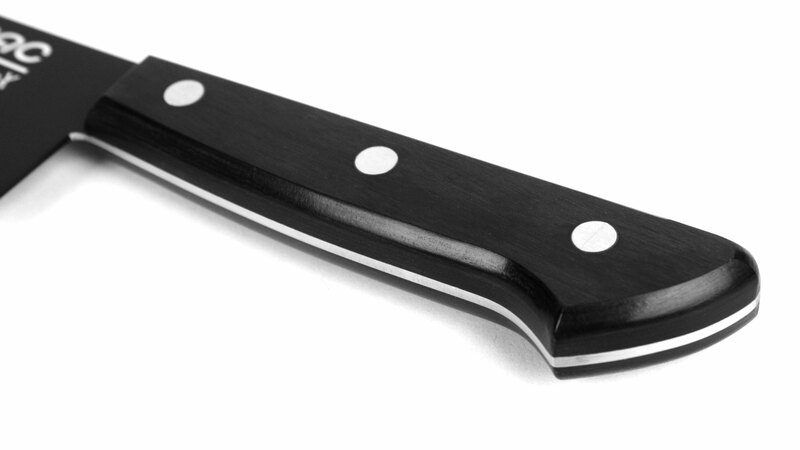 The knives are shaped with many traditional European shapes with a straight handle that's in line with the spine of the blade, with a pointed tip. 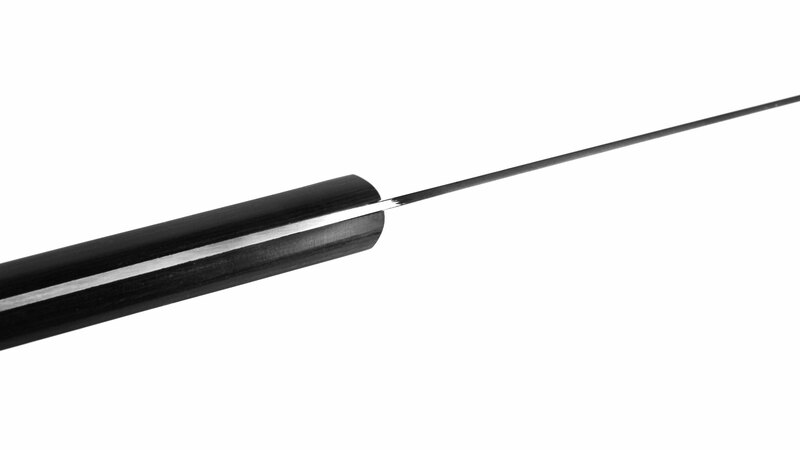 Comfortable balance, light-weight, sharp edge, and thin blade all combine to create a precision tool that is easy to handle and control while working on a cutting board. 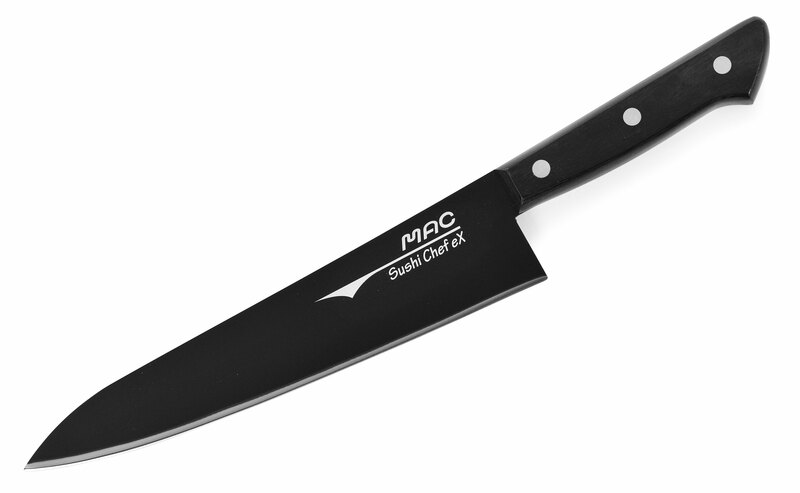 Due to the light-weight nature, MAC Chef Series knives can make quick work out of almost any food. Made in Japan with a 25-year warranty.